The security screening and processing area at the Auckland airport will be expanded. Image: courtesy of Auckland International Airport. A new retail area will provide more shopping options to passengers. Image: courtesy of Auckland International Airport. The passenger lounge will feature more space and relaxing facilities. Image: courtesy of Auckland International Airport. Auckland International Airport is set for a major upgrade of its international terminal, with the aim of increasing the airport’s capacity, as well as enhancing the passenger experience. Auckland International Airport Limited (AIAL), the airport owner, announced plans to upgrade the international departure area of the terminal and other developments in January 2016. The expansion is in line with the airport’s 30-year vision to make the airport future-ready by eventually increasing its capacity to 40 million passengers a year by 2040 from its current 16 million. 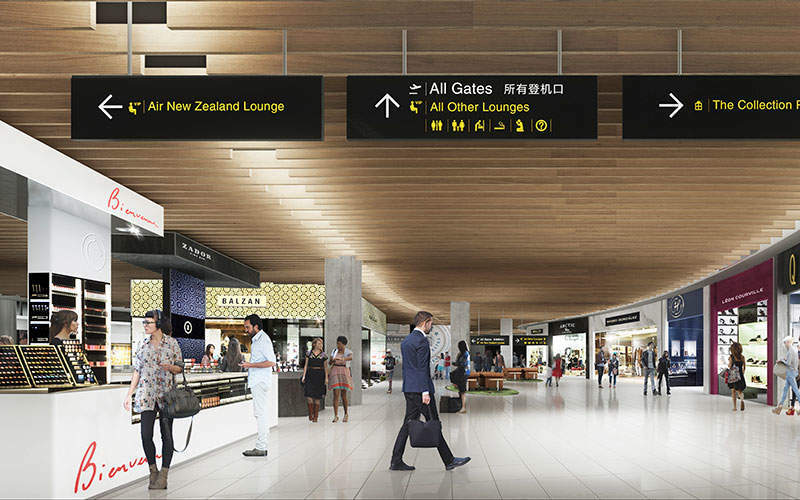 Increased growth of international passengers over the last 12 months and the launch of six new international services to Auckland have made the expansion of the international departure area necessary. The airport will invest between $160m to $180m for the upgrade, which was initiated in late 2015 and will continue until early 2018. The design of the upgrade project is inspired by a journey from New Zealand’s sea to sky and incorporates elements that showcase the country’s natural beauty and cultural heritage. The new area is designed to be intuitive and user-friendly to provide a better passenger experience. The design incorporates a whole new range of seating zones, a kids play zone, natural light and airfield views. The upgrade will double the current size of the existing primary international departure processing zone, passenger lounge and retail hub. The expanded area will comprise a reconfigured landside farewell area, a new passenger lounge, retail hub and an expanded security screening and processing area. 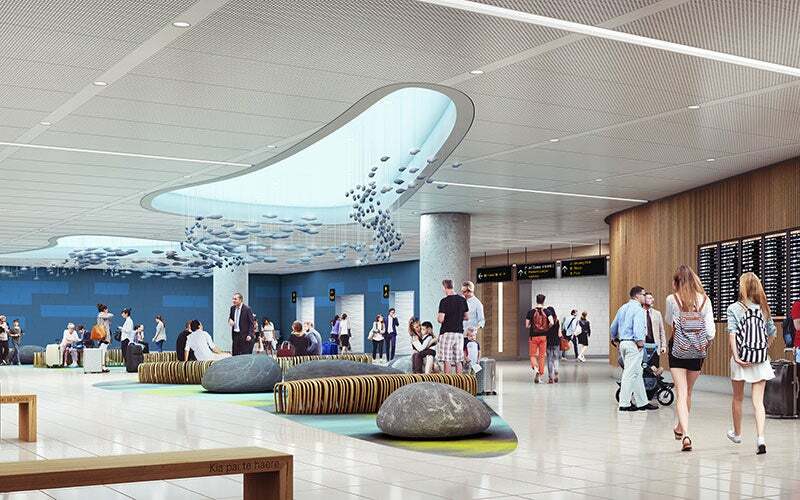 The landside farewell area will be reconfigured with dedicated space for departing passengers. An expanded security screening and processing area will be equipped with the latest technology with support from the government’s border agencies. The expansion will reduce the passenger processing time and increase efficiency of the processing area. A relaxing space will be designed after security screening to enable passengers to recompose themselves after the security check. Flight information displays and toilet facilities will be provided in the area. Both the passenger lounge and retail hub areas will be significantly expanded to provide more comfort and shopping options to passengers before they depart. 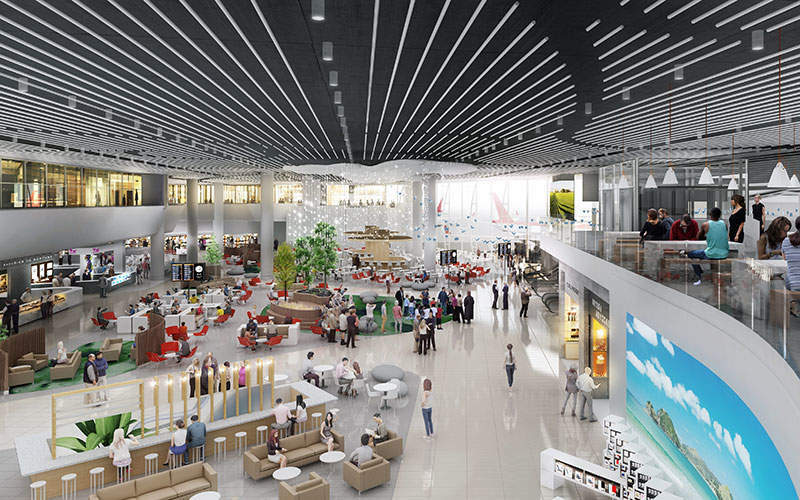 The passenger lounge will have a range of seating zones, including relaxing lounge seating, while the retail hub will feature new speciality stores and food and beverage outlets alongside existing duty-free stores. The two duty-free operators will also add new stores under the expansion project. The mezzanine level will provide windows overlooking the Manukau Harbour and provide views across the airfield. Construction on the terminal expansion will take place in three distinct phases. The first phase, which will continue until December 2016, includes reconfiguring the landside farewell area, expansion of security screening and processing area, as well as initial construction of two anchor duty-free shops. Phase two, which will extend until May 2017, will see the completion of two anchor duty-free shops and initial construction of the passenger lounge and retail hub. The project will conclude with phase three, which will include completion of the passenger lounge and retail hub by early 2018. "The airport will invest between $160m to $180m for the upgrade, which was initiated in late 2015 and will continue until early 2018." The construction contract for the project was awarded to Fletcher Construction Company, which is carrying out construction with the help of specialist sub-contractors. The new departure area has been designed by American architects Gensler in partnership with Jasmax, a New Zealand-based architecture company. A new domestic departure lounge for Jetstar Airlines’ regional passengers will be completed in February. The first of several new gates on Pier B of the international terminal will be opened by the end of 2016, which will be able to accommodate the latest generation A380 and B787 aircraft. The airport’s 30-year vision will envisage the development of infrastructure in stages, which will include a multi-billion dollar investment. Key features of the long-term project include construction of a new combined international and domestic terminal, development of a second runway by 2025, and extension of the same runway after 2044. The next five years will see the completion of first phase development of the new combined terminal that will be constructed near the existing international terminal and will include facilities for both domestic and international operations. A second runway will be built to the north of the new terminal, parallel to the existing runway. With a length of 2,150m, the runway will support large aircraft such as Airbus A320, and Boeing 777 and 787.